And if only that collar cold be adapted to repel Ichiro as well... And the Male! My boys just say NO to collars of any type, unfortunately. Good thing they are indoor only. Meez not like fleas and ticks eevew. They almost killed meez when meez wus a baby afuw meez mommy wescued meez. Stay safe and enjoy da pawk. I am an indoor only kitty and never, ever leave the house - and do you know, a couple of time, fleas actually have found their way onto me? The horrors! I blame the dog. We're waiting with tuna breath to hear what you conclude!!!! Frontline hasn't been doing as well here. Well, good look on your Waffles repellent Katie. Can't wait to see Waffles' outdoor park adventures! Hope he doesn't meet any fleas though. But I guess he'll be safe with Seresto. Ps, been nominating you! 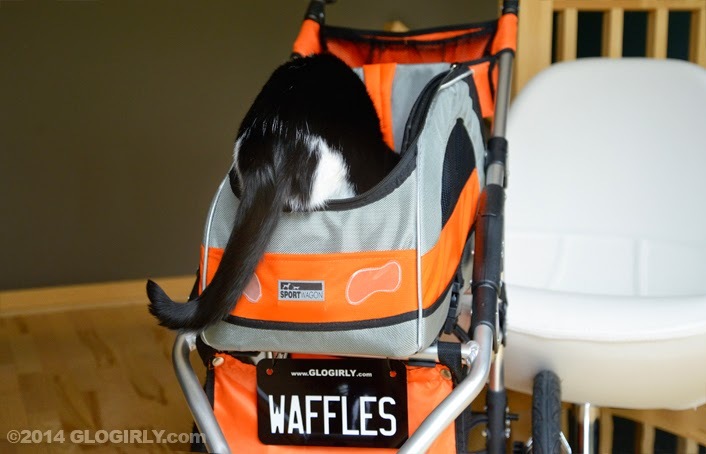 MOL we don't think they make a Waffles Repellent collar....we're not sure you REALLY want one anyway! We'll be interested to see how this collar works. We hope Waffles gets no fleas. We are so excited you're going to take walkies on a harness! Watch out for doggies, though. Some of them aren't friendly. I have seen these collars! I haven't heard much about them though so thanks for sharing! We just saw this recently. Mom is wondering about flea medication with Annabelle. Will be interested to see what it does for Waffles. Seresto sounds like an *amazing* product and we can't wait to see how it works out for you. 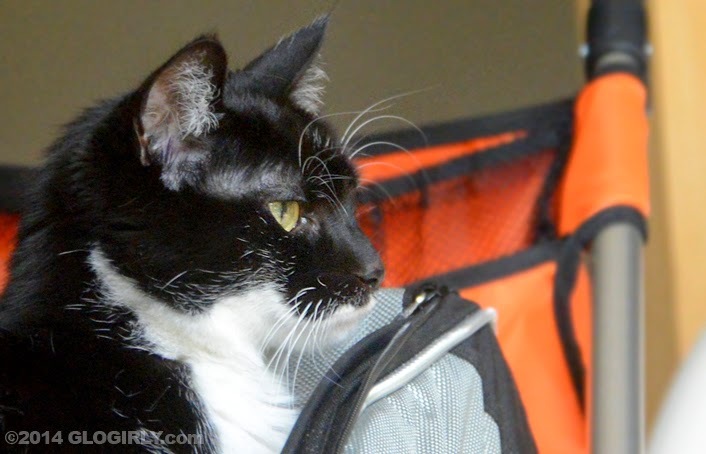 Flea is the "f" word for cats! The year after I adopted Tara we had an awful flea infestation even though she was an indoor cat. So far, so good with Truffles! 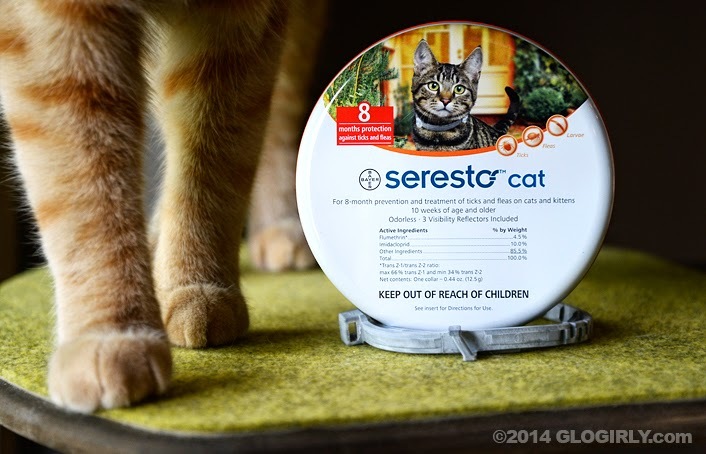 When I first saw the Seresto, I was wondering why indoor cats needed it. Oh yeah, Waff is leash trained. He could bring you all sorts of unwanted presents. This way, he gets protection and he also gets new bling. One of TW’s cats used to get a rash from a different brand of flea bling. 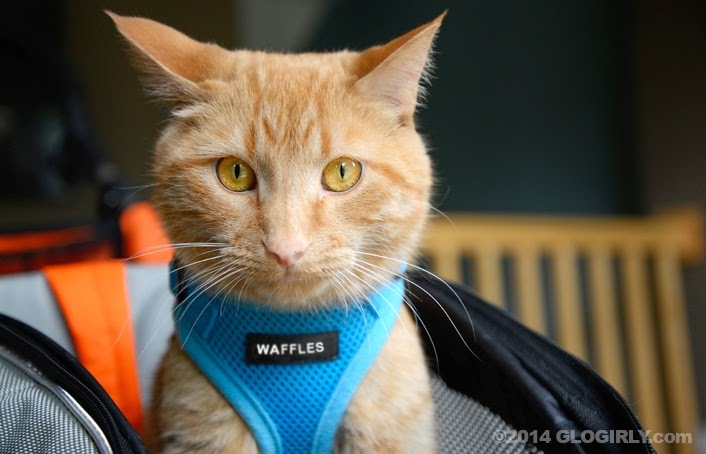 Mommy would like a collar that ATTRACTS waffles. And raspberries, and whipped cream. Sounds interesting Kids..I will be waiting to see the results..
Can't wait to hear more about if it works good. Hope it works well for you Waffles! I used to wear a collar and this may be something fur me.